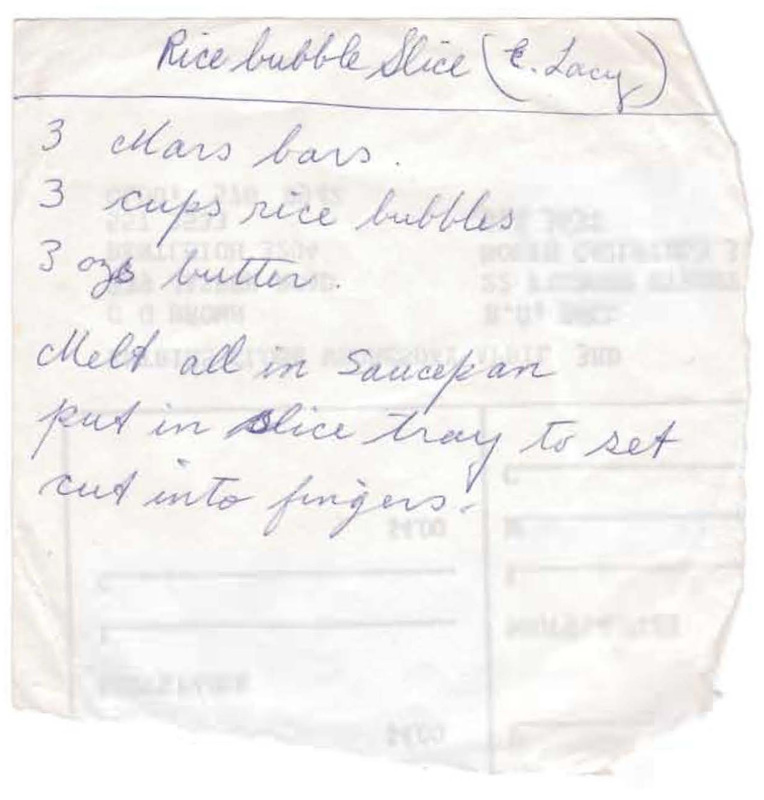 I like the combination of ingredients in this slice recipe. Caramels, chocolate, peanuts and rice bubbles sound like they’d go well together. If you were worried about adding in the peanuts it would be quite easy to double up the chocolate, can’t see why that would be any sort of problem. These are a step up from the usual Chocolate Crackles – extra luscious!!!! 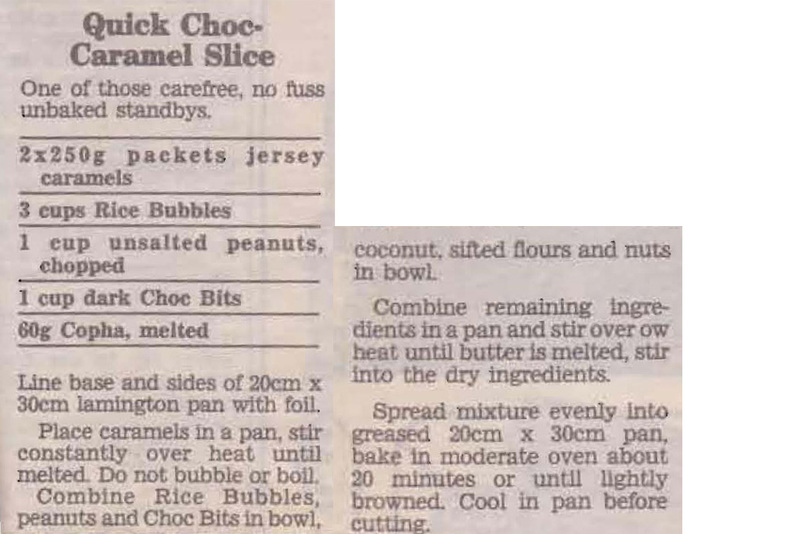 I know that cooking with nuts is not as popular these days because of all the allergy problems, but I thought this old recipe was still worth adding to the collection. Place rice bubbles, peanuts and coconut in a bowl. Boil honey, butter, sugar for 5 mins – only. Pour over dry ingredients and bake 5 mins only in 180o oven. Mark while hot and recut when cold. 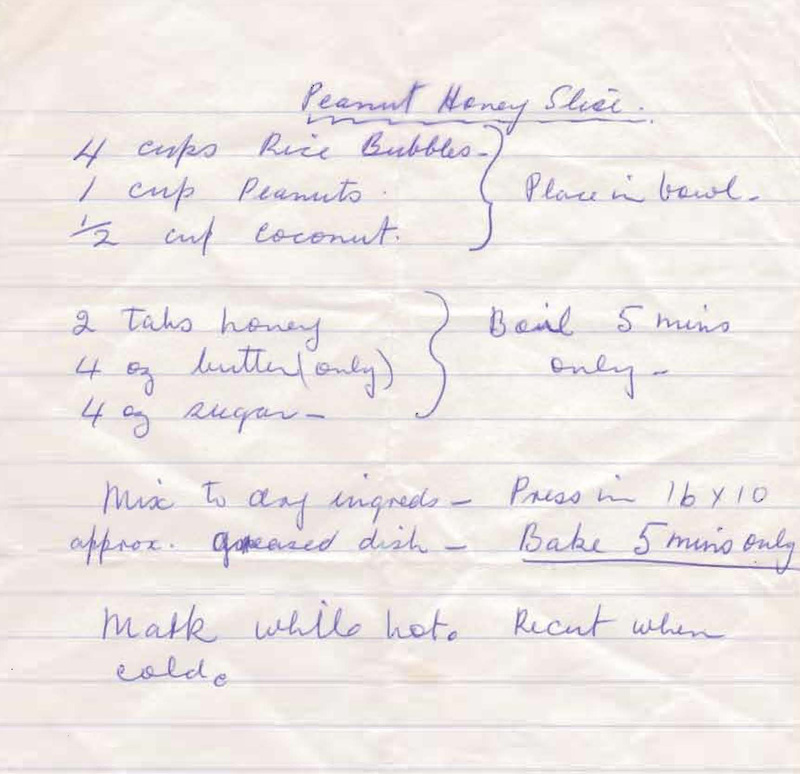 I’m not sure who E. Lacy was, but I’m glad Mum got this recipe from her. This slice is easy to make and a hit with the kids. 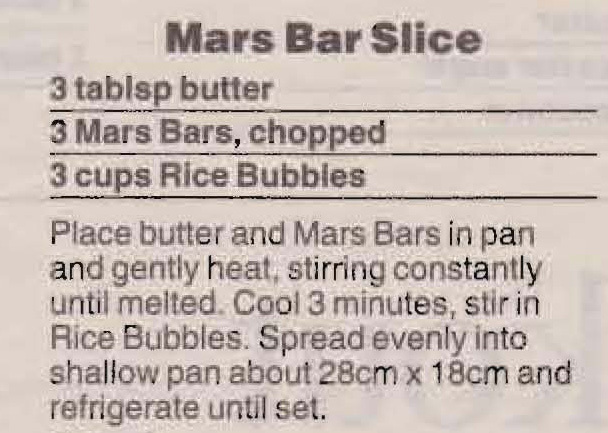 Melt the butter and Mars bars in a saucepan, add rice bubbles. Combine well. Pour into slice tray and smooth down firmly. Put in fridge to set. Cut into fingers to serve.